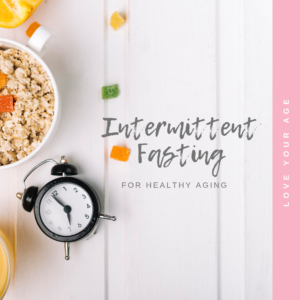 Home » General » Intermittent Fasting – is it the Fountain of Youth? Intermittent fasting seems to be all the rage right now. And for good reason. The health benefits of fasting (when done correctly) go far beyond fat loss. In short, intermittent fasting can help with a lot of the things we associate with aging. I don’t know about you, but I prefer to stay as young internally as possible for as long as possible. Just like with anything, there is a right and wrong way to fast. If you’re skipping breakfast, but drinking your morning java loaded with cream and sweetener – this is not fasting. Anything that spikes insulin will break the fast, along with all the benefits received from fasting. I know, I know – no fun, right? Trust me, switching to black coffee in the AM was a tough switch for me, but it was also a sacrifice I was willing to make to reap the rewards. There are some who say that using MCT oil and/or grassfed butter is fine in coffee, but I prefer to not chance it. Also, sweeteners – even natural ones – can spike insulin in some, so I prefer to leave those out as well during my fasting window. If you’re skipping breakfast, and then eating a “continuous meal” (especially of unhealthy foods) during your eating window, you likely will not see the results you desire. So, how DO you fast correctly? It can vary for different people depending on your goals, and there is a lot to be said for easing into it if you’re brand new. This is why I created the Love Your Age Intermittent Fasting Program. To cut through the confusion, and to design a fasting system that works with your body and your goals. In summary, fasting – when done correctly – can have HUGE benefit on the aging process. Since I got serious about it, I’ve noticed increased energy, better performance at the gym, increased leanness – to name a few. I also know that I’m doing amazing things at a cellular level, which is super important for longevity and overall health.